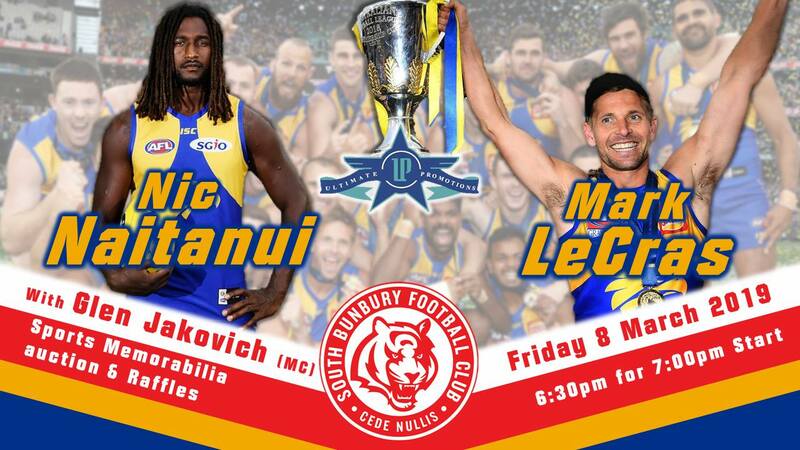 UPDATE: Due to unforeseen circumstances, we now invite you to join us for an evening with 2018 West Coast Eagles Premiership Player Mark LECRAS & High Flying, Electrifying ruckman Nic NAITANUI, supported by West Coast legend Glen Jakovich! Sports memorabilia auction & raffles! Book yourself a Ticket or a Table!